For those, who are looking for a long break from everyday monotony, a tour to Ooty is ideal. The hill station offers a wide array of holidaying options. Irrespective of whether you are going with your family or group of friends, travelling solo or with your partner, you will find Ooty as a suitable holidaying destination. You can make it even better if you don’t have to worry about transportation, accommodation or making arrangements. We at Holidays DNA do that work for you. We have created a wide range of Ooty tour packages catering to all kinds of holiday ideas. Have a look at our extensive list and choose a suitable package, for instance, our 5 Nights & 6 Days Ooty Packages are ideal for those who like to travel at ease, with ample of time to know a destination and experience the best of it. We offer packages from almost all the prominent cities. For example, for those travelling from Hyderabad, we have Ooty packages from Hyderabad, while for those travelling from Bangalore and nearby areas we offer Ooty packages from Bangalore as well as Ooty packages from Mysore. We also have Ooty packages from Chennai and Madurai to Ooty packages. There are Ooty packages from Pune and Mumbai and for those travelling from as far as Delhi Ooty packages from Delhi are offered. We have packages for all kinds of travel, ranging from budget to luxury, from family and group to solo. No matter which package you choose, we ensure that you are offered the best possible service at reasonable rates. 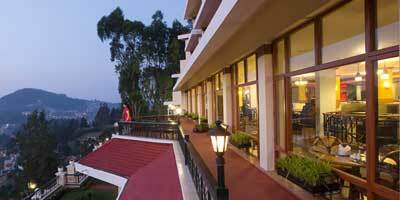 In our 5 Nights & 6 Days Ooty Packages a wide array of facilities are offered. You are given choices of hotels to choose from; hotels are suggested based on your preferences and budget. We have carefully selected hotels in Ooty hence you can be sure of having a comfortable stay without any hassle at any of the hotels from our list. You can spend 5 nights of comfort and luxury in your selected hotel while a private taxi is provided to take you for sightseeing. The driver payment and the parking charges are also included in the package so you don’t have to worry about payments as well and focus only on having a good time in Ooty with your loved ones. The hill station of Ooty has many interesting sightseeing places to see. It is nothing less than a heaven for nature lover and adventure seekers. With a private cab at your disposal, you can visit all the sightseeing places in and around Ooty in a comfortable manner without having to worry about transportation back to hotel. Popular attractions that you can visit in Ooty are Dolphin's Nose, Ooty Lake, St. Stephan Church, Emerald Lake, Dodabetta Peak, Ooty Botanical Garden, Wax’s World, Deer park, Stone House, Ooty Rose Garden, Avalanche lake, Toda Huts, Kalhatty waterfalls, Parson Valley reservoir, Hidden Valley, Tribal Research Centre, Pykara Waterfalls, and many more. Do visit the tea gardens and spice plantations as their scenic beauty is sure to enchant you. Together with sightseeing, you can also try various adventure activities in Ooty. A ride in Ooty toy train is also not to be missed. 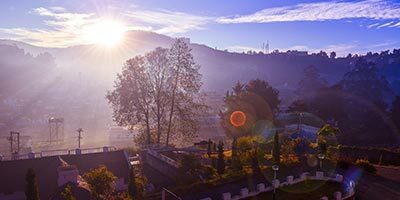 In addition to the facilities offered in the 5 Nights & 6 Days Ooty Packages from Holidays DNA, we also make customized Ooty tour packages in case you have any specific requirement. Our travel executives design the package to suit your preferences. To make your holiday further better, our travel advisors offer assistance 24/7, ensuring that your holiday goes in the exact way you like without any interruptions.